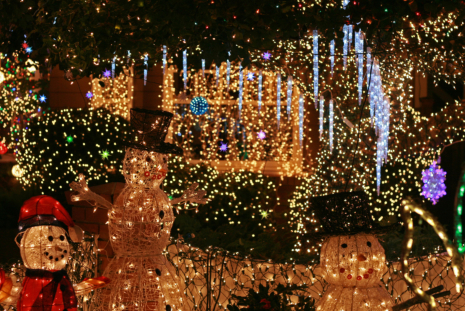 The holiday season may be over for now, but it is never too early nor too late to start learning about Xmas light installation in California. Consider it a preparation on your part instead, so that when the Christmas season comes once again, you will be more equipped to take on the necessary preparations for the festive season. In the meantime, let’s talk more about hanging outdoor Christmas lights to get your homes looking merry and bright for the holidays. As a company offering Christmas lighting installation in San Francisco, California, we recommend that you develop an overall game plan before letting the holiday decorating itch affect you. Resist the urge to “wing it”, as it can interfere with the appearance of your holidays. Planning a design beforehand for your holiday lighting and decorations may require you to pick a focal point that can accentuate your homes or commercial properties. Consider the surface where you want to place the lights as well so that you can determine the best way to hang your lights. Measure the place you want to adorn with lights to help you decide the number of strands that you will need. The next step includes preparing your materials for the holiday light installation. Do always bear in mind that safety is your first priority. In line with this, make sure to use extension cords that have been approved by the Underwriters’ Laboratories (UL) for specific outdoor use. Look for lights that have been okayed for indoor or outdoor use, too. You can check the package of the Christmas lights to determine so. Aside from that, you must also check your lights to make sure that they aren’t frayed or damaged. Faulty strands don’t just ruin your designs; they are safety hazards as well. For additional information on how you can best prepare for your outdoor Christmas light installations give us at Greenforce Outdoor Light a call. This entry was posted in Christmas Lights and tagged Christmas Decor, Light Installation, Lighting System. Bookmark the permalink.